Myself and Katie first met when we were eleven years old at high school. Through time we walked our separate paths until Katie got in touch about covering her and Mark’s Heath House Wedding. Upon going round to Katie’s mum’s (one of my biggest fans) home to meet everyone it was as though we’d just picked up from where we left off all those years ago. I knew then this was would be an awesome Heath House wedding. Katie & Mark also opted for an engagement shoot to get themselves ready for what to expect on the big day. You can view their Keele Hall engagement shoot here. This engagement shoot really prepped Katie and Mark for what to expect on the big day. So when I said “do you fancy walking through this farmland in your incredible Sophia Webster shoes” the answer was an immediate “yes” as she knew it was well worth the result. Although Katie and Mark looked incredible on their big day it was another well dressed hunk which gained the most of my attention. Wallis the dog who is a Jack Russel Corgi cross was welcomed to every moment of the day. The team up at The Heath House were super happy for him to go in all of the characterful rooms in the morning and even walk down the aisle with Katie and Mark’s mum in the service. After a busy appearance in the photo shoot he quickly made an exit where he spent the next few hours sleeping on Katie’s dress whilst she sat for the wedding breakfast and speeches. My favourite shot of the day was where I gathered all of Venue Perfections lanterns up and made a gorgeously lit night shot. 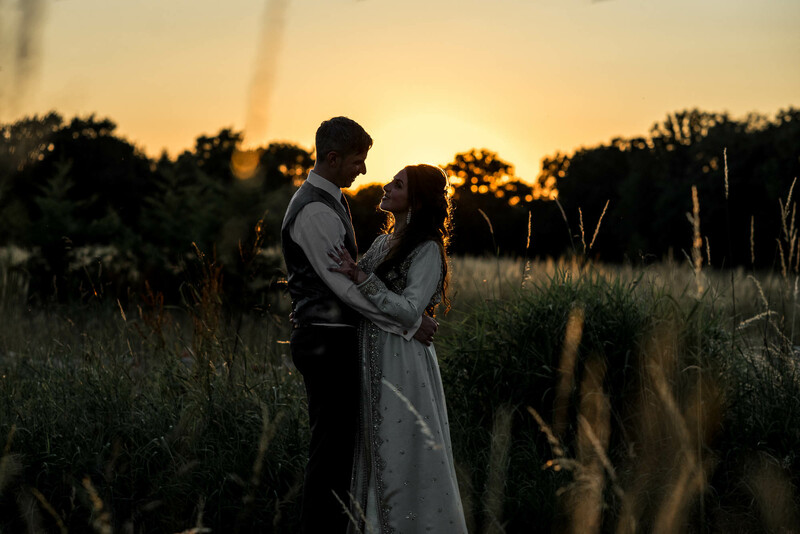 Looking for a Heath House Wedding Photographer?